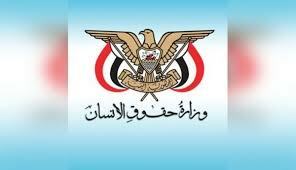 Ministry of Human Rights condemned the criminal act carried out by US-Saudi coalition recruits, which is the abduction of a woman and her two children from their home by force and coercion in the village of al-Baqa’a of Hodeidah province, western Yemen. According to a statement issued by the Ministry on Saturday, two military pickups belonging to the so-called military police on Wednesday morning at 6 April 2019, raided the house of the Citizen Abdou Salem Omar in the village of al-Baqa’a, of Tuhita district in the west coast. The statement added that the militants carried out operation search and then destroyed the house completely. They kidnapped wife and two children aged between 4- 7 years, and beaten them directly and taken to an unknown location. The statement said that this act is against all human rights values, principles and norms and international laws. The Ministry of Human Rights called on the Security Council and the Human Rights Council to take responsibility for war crimes and grave violations committed by the States of the coalition against Yemeni women and girls.